20" x 20" x 4 3/8" MERV 11 Honeywell Filter Replacement (Single Filter). These well-constructed filters are made to perform like the original replacement filter at a value price! 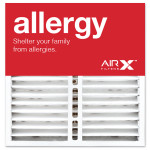 Designed not only to reduce dust, but has the ability to capture most common allergens. This is achieved by combining 100% synthetic electrostatically charged media, optimum pleat spacing and high quality construction. 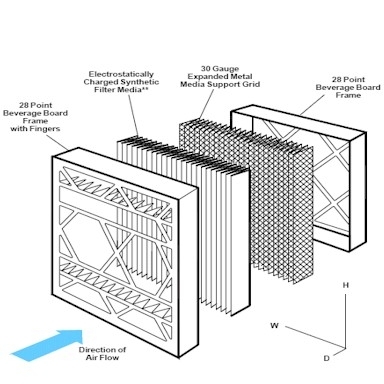 These deep-pleated filters have exceptionally high initial and sustained efficiency, high dust holding capacity, and very low pressure drop. The media is resistant to a wide range of chemicals, does not absorb moisture and will not support microbial growth.